It's SoC week. 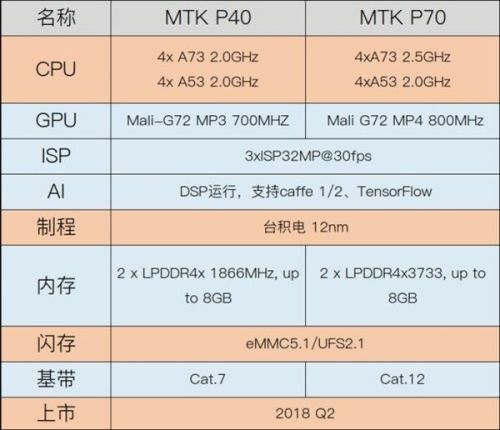 Details of Qualcomm's upcoming Snapdragon 640 and 670 surfaced a few days, so it's quite convenient that the specifications of MediaTek's major offerings for 2018, the Helio P4O and P70 have also been revealed. 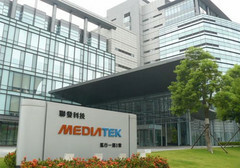 While Qualcomm's position as the top dogs in the SoC market is obvious, its closest rival, MediaTek, looks to have other ideas. Details of the company's upcoming Helio P40 and P70 chips have surfaced, showing MediaTek's ambitions towards making a resurgence in 2018. A leak a few months ago claimed that the Helio P40 would offer able competition to Qualcomm's game-changing Snapdragon 660. According to the released details, we're not certain that's possible. The SoC features four ARM Cortex-A73 cores clocked at 2.0 GHz and four ARM Cortex-A53 cores also running at 2.0 GHz. With that in mind, it's likely we'll see performance figures slightly above what this year's Snapdragon 630 had to offer. Perhaps quite similar to the Snapdragon 636. The Helio P70, on the other hand, is interesting. It uses the same A73/A53 combination as the P40 but with A73 cores running at 2.5 GHz. A similar SoC, for example, is the Kirin 960, and we expect the P70 to offer performance values close to that. MediaTek announced its decision to take a hiatus from its Helio X line a while ago, and it seems the Helio P70 will slot right in as a cheap option for sub-flagships. Both SoCs will be powered by the Mali-G72 GPUs. The Helio P40 is equipped with the MP3 version, while the P70 uses the slightly more powerful MP4 variant. Both SoCs are also to be built on TSMC's 12nm manufacturing process. While these processors look interesting, MediaTek's issues are much larger than raw processing power. The company adopts a backwards stance on updating drivers and releasing kernel sources, which makes development for its SoCs a major inconvenience. Hopefully, all of that is sorted out in 2018. Both SoCs are expected in Q2 2018, and we wouldn't be surprised to see them on some mid-range devices, with Xiaomi's Redmi phones, in particular, being contenders. Other OEMs like Meizu and Gionee are also certain to offer devices powered by these processors.